When you go on a midseason run of 11-1, chances are you've set yourself up for postseason competition. Such was the case for the Darien girls basketball team last year, which ran roughshod over many tough FCIAC opponents during the 12-game stretch en route to a regular season record of 15-5 earning a spot in both the FCIAC tournament and the Class LL state tournament and picking up a win over Cheshire in the first round of the latter. If Darien is to return to both postseason tournaments in 2013-14, however, they will have to do so without Meg Marren and Kate Bushell, arguably the Blue Wave's two biggest offensive threats, who graduated. Ali Aparicio, who also logged many quality minutes, was also lost. "We're going to be fast. We focused a lot on defense last year, and we want to be more off an offensive threat this year from all angles," second-year coach Katie Lauten said. "We used Meg a lot last year on the inside, so we want to make sure we're more versatile all over the year." The good news is that Darien brings back the majority of that 15-5 squad, including captains Emily Stein, Kelly Karczewski and Avery Maley. Stein and Karczewski are the squad's only two seniors on the relatively young team. "We don't have much of a big person game, so we've been developing our guard skills," Karczewski said. "We look a lot faster, and I think we're feeling pretty good about Opening Night." Key underclassmen include juniors include Maley, Katie Richter and Kendra Fitzpatrick, and many of them could be counted on to fill the void left by the graduation departures. Sophomores Erin Karczewski and Kate Fiore also return and figure to play key roles. "I think we do have some work to do, but we've been working hard in the gym," Stein said. "We're definitely a smaller team, so we're going to use our speed to our advantage with our shooting. It's a completely different team from last year, so we have to play differently. We're definitely gelling as a team." According to Kelly Karczewski, the Blue Wave took part in a preseason tournament in which they defeated two good teams. "It's invaluable. We've got our starting lineup ready, and we all meshed really well together. We're still expecting to get into both tournaments and go far, especially in FCIACs," Karczewski said. "We're going to be running a guard game. Really fast, really quick off the fast breaks." Lauten and the Blue Wave are looking to make last season's strong run the norm and not the exception. "(Darien High has) really strong fall teams and really strong spring, and I don't want them to forget about the winter," Lauten said. 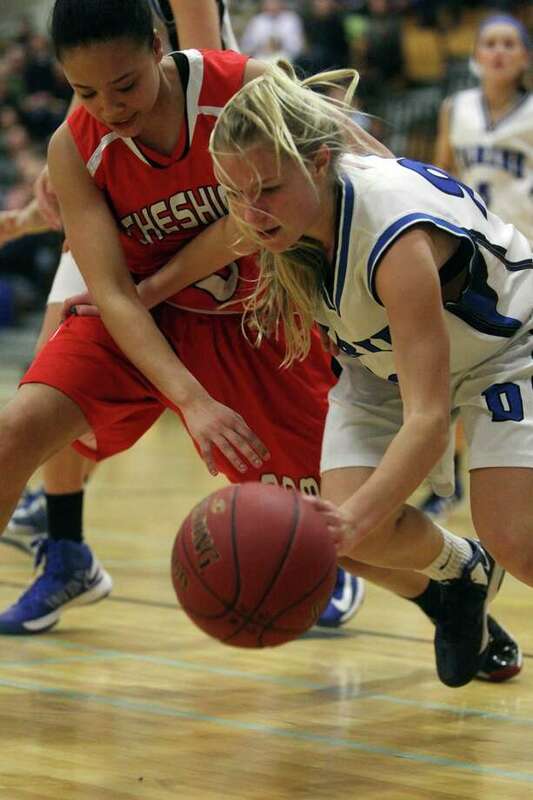 "I want us to be a force to be reckoned with and to make the basketball program something that Darien is also known for. Hopefully we can not only maintain, but improve from where we were." "We have a small team this year, but we're working with what we have and we're coming out strong," Maley said. "We're focusing on one game at a time and starting off with Westhill. We have Westhill, Stamford and Wilton in the first three, so it's going to be tough, but I think we'll definitely show them what we've got."